Jose Ramirez has dedicated his career to serving those in need. 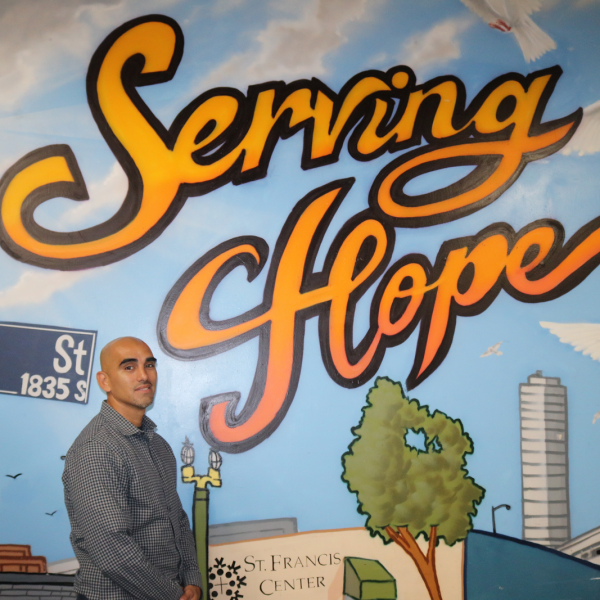 Since 2010, Jose has worked at the St. Francis Center, which is located in the heart of Los Angeles. Jose also serves as a member of the LA Food Policy Council which is a member of the Don’t Waste LA Coalition. The mission of the LA food policy council is to help combat food injustice which is in line with the mission of the St. Francis center, which also focuses on helping to rescue food that would otherwise be thrown away, and providing groceries and prepared meals to families in need. Jose’s leadership has been instrumental in getting many homeless and extremely low-income individuals on a healthier and more sustainable path. “Since the implementation of recycLA, we have been able to recover an additional 60,000 pounds of produce in the last two months. We have also seen a 20 percent increase in food donations and we anticipate this number to rise as the program is fully implemented. Thanks to this great program, we are able to provide more meals to some of our most marginalized communities in our city.” Because of recycLA, the St. Francis Center has been able to increase its volume of food donations, and will eventually expand its operations, including purchasing more trucks for handling the increased food volume, and hiring more employees. Jose and his work at the St. Francis Center are perfect examples of the benefits that recycLA has brought to Los Angeles. In addition to rescuing edible food from being discarded into landfills, which also has environmental benefits as rotting food in landfills is a major source of methane emissions, the rescued food is helping to create more jobs and feed families in need.